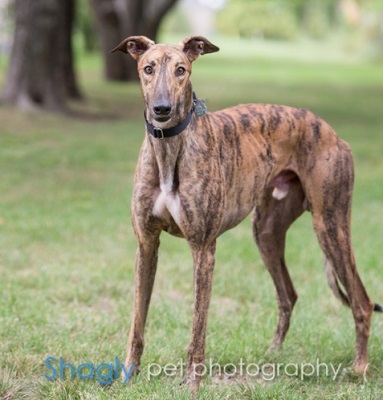 Greg, aka Blackjack Greg, is a 2 year old brindle male born May 11, 2015. His sire is TK Quick Strike and his dam is Wiki Gumdrop. 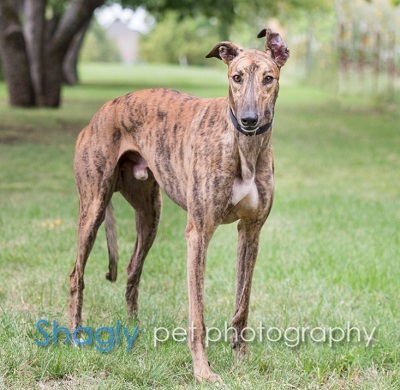 Greg has 7 races to his credit per greyhound-data.com, all at Valley Race Park in Harlingen, TX from November, 2016 to May 2017. Now, Greg is ready to retire. It is not known at this time if Greg is cat or small animal tolerant.